2. Controlled temperature cement fridge :Does it work ? 3. Variability of magnification with digital radiographs. JBJS supplement, Vol 88-B 2006. 5.The reliability of low back outcome score for back pain. A prospective test-retest study was conducted to investigate both new and follow-up patients (102 new & 42 follow-up) with low back pain.Low back outcome score was tested for internal consistency and test retest reliability.Conclusion : The low back outcome score has good internal consistency & test retest reliability. Published in SPINE . 27(2) : 206-10, 2002 Jan 15. A prospective randomized trial comparing the results of conventional lumbar discectomy performed as day case & as in-patients.31 patients in the study. Conculsion: conventional discectomy can be undertaken safely as day case surgery and may indeed speed up the recovery process. Published in European Spine Journal. 11(1) : 67-70, 2002 Feb.
7. Reducing waiting times : physiotherapy shoulder assessment clinic. Specialist physiotherapist led shoulder clinic was found to be efficient in reducing waiting times for patients to be seen in the orthopaedic clinic. Published, January 2001 , British Journal of Therapy and Rehabilitation. Vol.8 No.2 :57- 59, Feb 2001. A retrospective cohort of 43 patients following discectomy were studied.8 developed symptoms on the contra-lateral side. An oblique sub-facet distance of 8mm predicted the development of contra-lateral symptoms with a sensitivity of 75% & specificity of 74%. 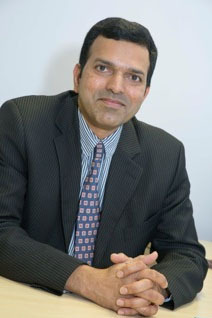 Mr A Shetty, Prof Greenough. Published, Cleveland Medical Journal, Issue four : 203, 2001. Society meeting , Milan, 20-22 Sept 2013. 3. Oblique sub-facet distance : A new prognostic indicator for the development of contra-lateral symptoms following discectomy, Podium presentation, EFFORT Congress, Lisbon 4-7 Jun 2005. 4. Saphenous nerve neuralgia : A cause for Anterior knee pain following Total knee arthroplasty,Poster presentation EFFORT Congress, Lisbon 4-7 Jun 2005. 5.Variability of magnification with digital X-rays, Poster presentation, EFFORT Congress, Lisbon 4-7 Jun 2005. Poster presentation at the British hip Society meeting, Wrightington 3,4 Mar 2005. Options for revision of uncemented THR in a patient with Vitamin D resistant rickets & stress fractures. 9.Early experience with the Echelon Revision stem. Queen Elizabeth Hospital, Gateshead, 31 October 2002.
contra-lateral symptoms following discectomy . Presented at The Society for back pain research London, Nov 1998. Presented at K.O.A Silver Jubilee Conference, Davangere,India, Feb 2001. Thesis presented to the university of Kuvempu, India.